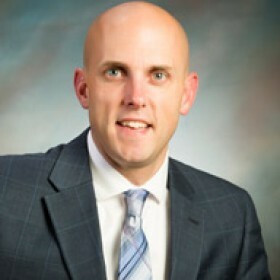 What’s top of mind for Brian Sterud, VP of IT/CIO at Faith Regional Health Services? Security and Networking. Sterud believes that it is a privilege to be entrusted with patient data and as so organizations should do everything in their power to protect it. From policies, to protocols and procedures, we discuss Faith Regional’s approach to tackling security. Technology transition in your future? You’re not alone. Sterud emphasizes how important word-of-mouth is when making big decisions, and just how invaluable networking can be. Learn from others who have been through it before. Any healthcare CIO can relate to the values and challenges that Sterud discusses in this interview. There’s probably some inefficiencies from a cost perspective, but the biggest thing, again, are the fragmented databases, in terms of not having continuity of care driven by a centralized database. We simply don’t have the data at the speed in which we need it and the detail that we need it right now, and when we move to another platform that definitely needs to be a part of the package. It’s hard to quantify the value you might get networking with peers or attending a conference where you network with peers and frankly, that’s probably been one of the best ways for me to make good decisions and save money. Word of mouth is very powerful. Someone else has lived through it, they can provide the good, the bad, the ugly, and whether it’s worth it. In a sales process, you typically only get the good, you really don’t know the potential pitfalls until you encounter them. I think it’s extremely important to network with colleagues and attending the CHIME forums is a wonderful place to do that. We can effectively have both those things at our fingertips, someone who is CPR certified and know where an AED is, and then be able to respond with those things very quickly. The guiding principle I always tell folks is that, if in doubt, or if you’re not sure what the best way to treat that data is, think about: how would I treat it if it was mine? That will guide you most of the way there, on almost any type of question or initiative. Campbell: Please tell me a little bit about Faith Regional and your role within the organization. Sterud: Faith Regional is a HIMSS EMRAM Stage 6 hospital and serves a population of 156,000 people. We have a number of EMRs right now: we have Soarian on the inpatient side; NextGen on the ambulatory side; a different EMR in our home health; and a different EMR in our nursing home. I don’t know that we’re necessarily alone in this situation, but it’s definitely not an ideal scenario. We are going through a process of evaluating a move forward to potentially centralize many of those on a new platform. Campbell: I imagine with different vendors, as you mentioned, it’s not unique that you’re going through this. A lot of organizations – as they have different applications across care settings – are having to normalize and harmonize that data. Tell me a little bit about how that has impacted your workflow and adoption. I know you folks are fairly advanced in terms of your progression on the EMRAM scale, but tell me a little bit about the challenges it poses having those disparate systems. Sterud: It’s difficult. There’s very little data that traverse across the systems, so it creates silos of data, which isn’t good for anyone. Not to mention the challenge it creates in terms of supporting multiple disparate systems, as you can imagine. There’s probably some inefficiencies from a cost perspective, but the biggest thing, again, are the fragmented databases, in terms of not having continuity of care driven by a centralized database. Campbell: Right and it’s almost like the clinicians are presented with chunks of the chart rather than a complete picture, if that’s the case. As you approach a new consolidated, or centralized, solution, have you thought about how many years of data you’d likely migrate and what your strategy would be to sunset some of those legacy systems? Sterud: Somewhat. I don’t know that we’ve necessarily determined the amount of data that we’ll bring forward. Certainly, the more recent and detailed clinical data. The older the data is, the less detail is likely, but those are some things that we have yet to completely tackle. We also know that when we go live on a new system, there will be a period of time where we’ll need to access, very quickly, data that’s recent. So, we haven’t really thought all those things through yet, partially because we need to have a better understanding of which platform we’re moving to. Campbell: And there’s certainly different capabilities depending on what platform you move to. For instance, if you were to move to Cerner, perhaps, it would be a little more native since they have acquired Soarian from Siemens, versus if you’re going on a net new product, so I can appreciate that decision. It touches on a point that you made in a prior interview, that it was your position that you shouldn’t switch products before 5-8 years so you can realize the full potential. I imagine the same thing must hold true now, as the last thing you want to do is 5-8 years from now, or even quicker than that, is saying ‘Geez, maybe we should’ve gone down this path in choosing this vendor.’ I can understand and appreciate why you’re systematically and methodically going through that vendor selection process and doing your due diligence. Sterud: Yeah, we need to get to something that we know we can be on for the long term, that’s for sure. Campbell: Excellent. Switching gears for a bit, KLAS recently published a report about sepsis prevention and it was sort of staggering to me that capabilities exist, but aren’t leveraged by HDOs. They touched on some MEDITECH hospitals, where it’s possible to provide those systematic interventions for hospital acquired infection prevention. Can you elaborate on what you might be doing from a surveillance dashboard perspective within your current applications? Sterud: We’re not doing a ton using our software. We do have a Quality Department that pays close attention to the record and then follows up relative to whatever that condition might be, but that’s about the extent of it. Campbell: While we’re on the topic of population health management, how much is PHM factoring into your decision for a new EMR, or is the EMR selection driven purely by the desire for a single database solution? If you could shed some light on some of those decision criteria, understanding that the PHM solutions are starting to flesh out a little bit more in what is a fragmented market. Sterud: That’s a great question. It’s a huge part of what we’re doing, making sure that we can get data, and who we can collaborate with, to be able to analyze data in our region. Certainly, exploring areas where we can exchange patients with other facilities and methods in which that can be done, and how easily, in terms of an interoperability perspective. We need to get to that next level where we can get good at actionable data and things that we can do relative to population health management, in the time frame that we need to do it. We simply don’t have the data at the speed and the detail that we need it right now. When we move to another platform that definitely needs to be a part of the package. Campbell: In terms of purchasing decisions, you had discussed at CHIME how meaningful the CIO boot camp was for you. Could you provide some insight into how purchasing decisions are made at Faith Regional? How much does word-of-mouth matter? What collaboration takes place with you, in terms of other CIOs, and getting a reference case and talking to them, potentially other peers who are in similar situations and what experience they’ve had with the software. If you could elaborate on that and touch on if you leverage any third-party solutions from KLAS, to BlackBook, or HIMSS Analytics. Sterud: All of the above. We like to look at some of those resources from KLAS, HIMSS Analytics. Word-of-mouth is a big deal. It’s hard to quantify the value you might get networking with peers or attending a conference where you network with peers and frankly, that’s probably been one of the best ways for me to make good decisions and save money. It helps to talk to peers. Word of mouth is very powerful. Someone else has lived through it, they can provide the good, the bad, the ugly, and whether it’s worth it. In a sales process, you typically only get the good, you really don’t know the potential pitfalls until you encounter them. I think it’s extremely important to network with colleagues and attending the CHIME forums is a wonderful place to do that. Campbell: Attending CHIME last year, I noticed that whenever you have a targeted audience, where everyone’s in the same role, speaking the same language, having similar levels of responsibility, its extremely empowering. You gravitate towards people in similar situations, with similar experiences, and gain a lot through osmosis, being face-to-face, that supplements having the undivided attention of someone, so that’s critical. Are there particular focus groups that you’re planning on attending in November? Sterud: I have another conference that I have to attend this year, so I won’t be able to go. The focus groups, though, are awesome. They’re great for interaction among peers, to hear the challenges that others have, to hear what a vendor might have on their road-map; those focus groups are very valuable. Campbell: Yeah, there’s no hiding right? I mean for the sales person, it’s not a dog and pony show. You need your true subject matter experts, someone who’s, preferably, been through the trenches where you can dig into issues. You go to HIMSS, and I think there’s a lot of screen shot sharing and a lot of prescribed demonstrations, whereas you’re able to deeply and more meaningfully collaborate with some of these more focused conferences. I want to switch gears again to innovation, tell me a little bit about the sudden cardiac arrest app. I found that fascinating and noticed Faith Regional had just recently launched that. Sterud: Yeah, it’s cool. We did not develop the app, but the way that it works is: If you know CPR, you would download the app and “opt-in,” then if there’s a scenario where someone in a public place needs CPR and it’s been called in, you can get notified that someone within walking distance needs the help. You get a notification on your phone that this person is at a location and you can respond and provide that first responder type of support for that patient. There’s also another app that can notify you where the closest AED is, in the event that its needed. We can effectively have both those things at our fingertips, someone who knows CPR and where an AED is, and then be able to respond with those very quickly. Our community has embraced it, we were able to raise the money, and it is beginning to move forward. Campbell: Its always fantastic any way you’re able to demonstrate an impact. It’s a very focused and niche area, and the best innovations are found in areas that are often overlooked. It makes a lot of sense and it was refreshing to see that the community had embraced it and it had gained some momentum. I look forward to seeing the results of it. Well, great, that covers the gamut of questions that I have today. Are there any organizational initiatives, outside of this vendor selection process, or specific topic, that you would like to touch on? Whether it’s security and privacy, or patient identification matching? Sterud: One of the biggest things that we’ve worked on is security. We’ve had a tremendous amount of importance placed on the establishment of our security program. Not a lot of this has been through acquisition of software, or anything like that, but for the most part building out the program, making sure we have the right policies in place, the right procedures, the right type of governance. Almost everybody is focused on that nowadays, as we should be. We’ve placed an extreme amount of effort on it, and just recently performed our updated risk assessment. We don’t have the results yet but we’re very anxious to see what kind of improvements we may have made there. Campbell: When you’re the steward and custodian of that data, so much importance is placed on it, and I think, as you touched on, it’s not always a technical issue, it’s an awareness and educational issue. Just the other day, the physical aspect manifested itself, where Aetna sent out bills where the envelope window was proportionately too large for the document inside. While there are some technical components to it, there’s also a QA component to it, there’s a human aspect of it, and just raising awareness about it, and having the right protocols, polices, and procedures in place, it can’t be underscored enough. It’s going through those exercises of the assessment to identify any vulnerabilities, because what’s at stake is hugely important. At the same time, you’re trying to provide quality of care, you need to make sure you’re doing that in a safe and secure fashion. Sterud: I totally agree. You hit the nail on the head. The way we try to look at it is, we’re been entrusted with that data, we are stewards of that data, as such it should be taken seriously and we do. The guiding principle I always tell folks is that, if in doubt, or if you’re not sure what the best way to treat that data is, think about: how would I treat it if it was mine? That will guide you most of the way there, on almost any type of question or initiative. I think you hit that spot on, we absolutely treat that data with the utmost respect and thank our patients for trusting us with their data.